Meeting point 09:30. in the Plaza Prat de Llobregat in Catalonia, at the exit of the station's central subway line 9, next to the entrance of the Library. (A zone 1). Route: leave the Prado, the beach road to reach the Mirador Aircraft 2 km. 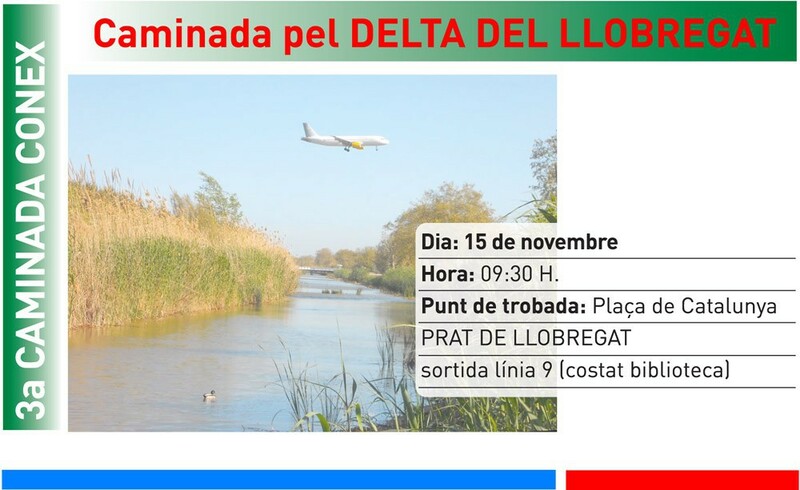 Go to the information center where they will explain the different areas that make the natural areas of the Llobregat river. Follow the path of Playa Ca l'Arana. Once on the beach you will see the ruins of the headquarters of the Carabinieri and building lights, 5.5 km from the start. Back on the path next to the canal until the Bunyola Prat de Llobregat. It is a walk of about 10 km on a road plan that will in about 3 hours. Bring, comfortable walking shoes, water, lunch (on your own) and something if it rains, it rains in areas where there is not any place to protect themselves.